LAHORE (92 News) – At least four terrorists were killed, while four others managed to flee during an operation conducted by the law enforcement agencies in Shera Kot on Thursday. 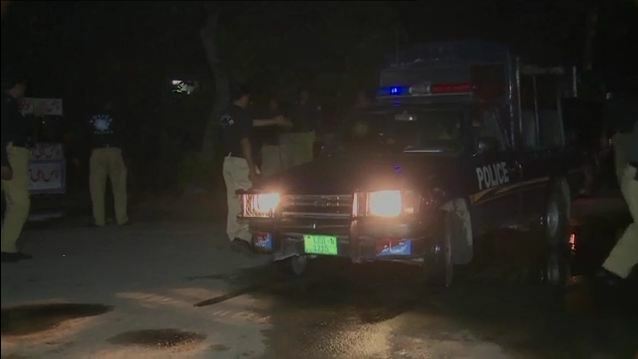 As per details, on a tip off the presence of terrorists, Police and Intelligence Agencies carried out a search operation in Lahore’s Shera Kot area. During the operation, terrorists hiding in a house opened firing, in retaliation, four terrorists were killed and four other managed to escape. Police have recovered weapons and explosive material, while the bodies were shifted to the hospital for postmortem. The police have been conducting raids for the arrested of escaped terrorists.